Papua New Guinea (PNG) is arguably most famous for the Kokoda Trail, which links the southern and northern coasts of Papua New Guinea and was prominent during the Pacific War of 1943. The largest of the Pacific Island nations, PNG occupies the eastern half of New Guinea and hundreds of nearby islands. A mountainous and forested terrain has led to astonishing cultural and linguistic diversity, although it hampered development. As much as 97% of the land area is held under customary tenure, with ownership rights vested in an extended family group. Very little land is registered and ownership is mainly governed by traditional law. The remaining three per cent is owned by the government. The vast majority of the PNG’s population is engaged in agriculture, which accounts for approximately one third of the country’s GDP. Exports, however, are dominated by minerals, primarily copper and gold. A massive multibillion liquefied natural gas plant, meanwhile, is expected to transform PNG’s economy and society over the next several decades. Rapid expansion in PNG’s property market is set to be further heated by new foreign investments. Real Estate in Port Moresby and Lae, the two major cities of PNG, has grown extensively in recent years to offer a diverse range of options for property buyers, with family homes, duplexes, townhouses, terraces, apartments and stilt house all available in different areas across the country. Papua New Guinea (PNG) has an estimated population of over 7.2 million people, with more than 1.2 million residents living in Port Moresby and Lae alone. Foreigners make up less than one per cent of the total population and live mainly in the cities. With the country’s GDP growth rate at 7.5% (2012) and increasing multibillion dollar investments, particularly in the resources sector – PNG has attracted large interest from foreign buyers and multinational companies looking to buy in Port Moresby and Lae. Rentals for upmarket three bedroom apartments range from PGK3,500 per week to PGK5,000 per week and office/retails can be rented for PGK850 to PGK1,500 per square meter per annum within city limits, prompting foreign real estate developers to invest heavily in these two cities. The majority of foreign investment in Papua New Guinean real estate has come from Australia, China, Malaysia, Philippines and New Zealand. 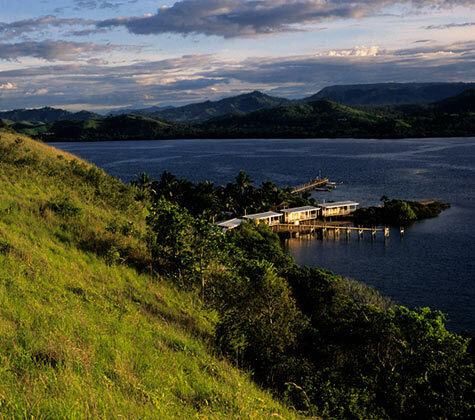 Papua New Guinea currently places no major barriers on foreign ownership of real estate. Your CENTURY 21® Agent will be able to assist you in understanding the home buying process. Please seek professional advice from a qualified lawyer and tax adviser before attempting to purchase real estate in Papua New Guinea.